Wear a different pair every day or use as a stocking stuffer for your girlfriends! 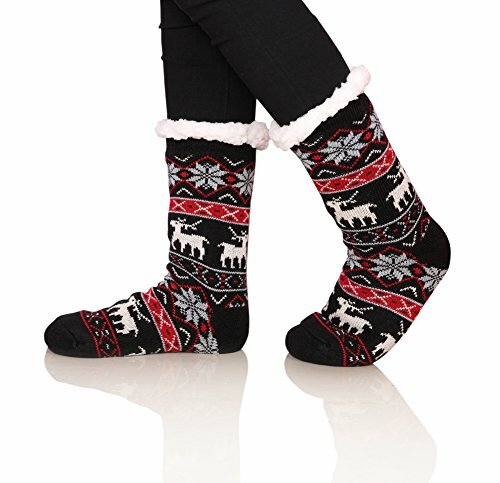 Assorted, unique designs and colors to not only pair up a cute look on sneakers and loafers but also provides you extra insulation worn inside boots. A Must-have and perfect gift idea for family, friends and your loved ones in the fall and winter seasons!! ULTRA-SOFT, EXTA-THICK PLUSH FABRIC gives the socks the warmth, comfort, and durability you need.